This article was originally published on June 10, 2011, in the Shenzhen Daily. 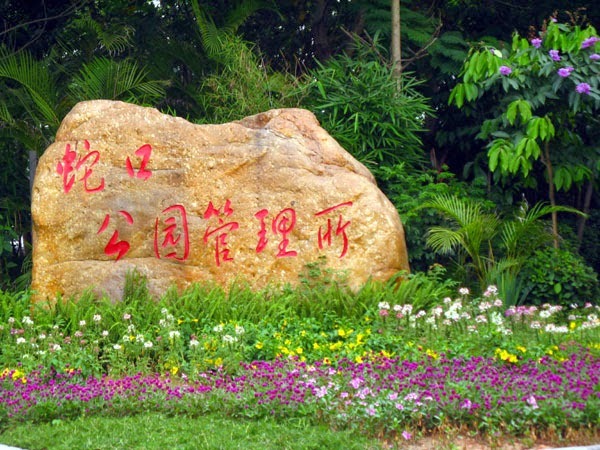 Nanshan District in Shenzhen is justly famous for its production of litchis (also spelled lychee and lizhi, among other ways). 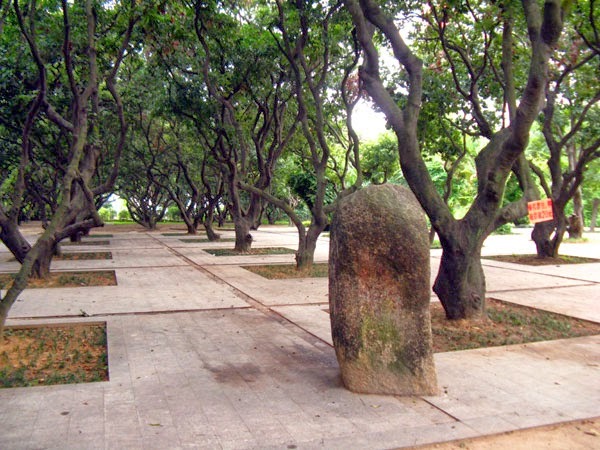 Since harvest season is nearly here, I thought I'd take a look at three famous "Litchi Parks" in Shenzhen. 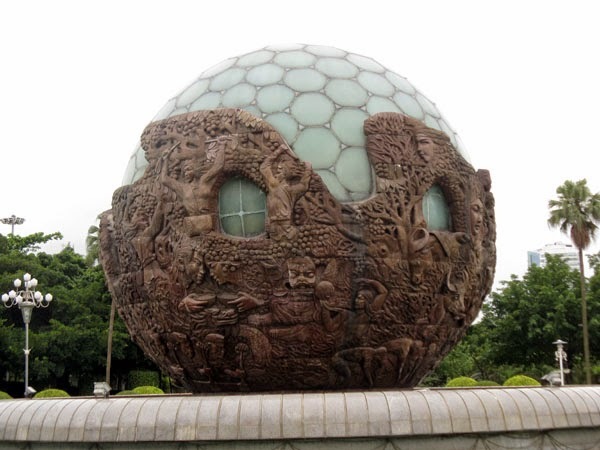 If you've ever noticed a large globe-like sculpture on the south side of Shennan Thoroughfare near Shenzhen University, you've seen the north gate to Lixiang (Scent of Litchi) Park (荔香公园). A large kite-flying area is surrounded by walkways and sculptures. There's lots of seating, and several areas suitable for dancing and taiji. Most Shennan buses stop at the north gate. 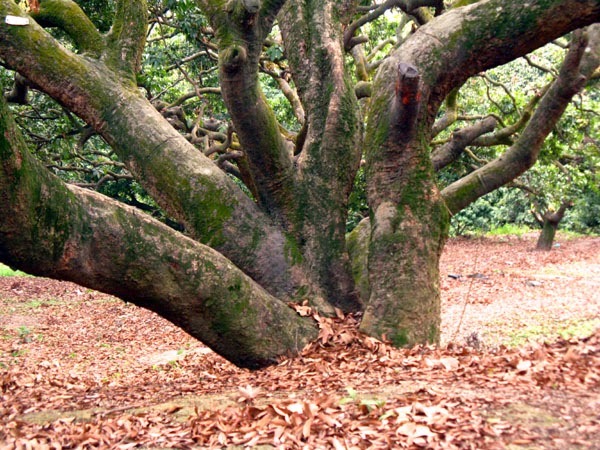 On the north side of Nanshan mountain, south of Dongbin Road, is Lilin (Litchi Forest) Park (荔林公园). This one was a find; I've never felt so far from civilization within the city. The dense canopy of large, old trees kept me in shade most of the time. The pathways have lots of ups and downs, twists and turns; I actually got lost! Also there are signs warning of wasps and (believe it or not) cobras, quite a surprise in urbanized Nanshan. Bring water and a compass! Try Bus 42 from Windows of the World to Taizi Shanzhuang (太子山庄) on Qianhai Road. 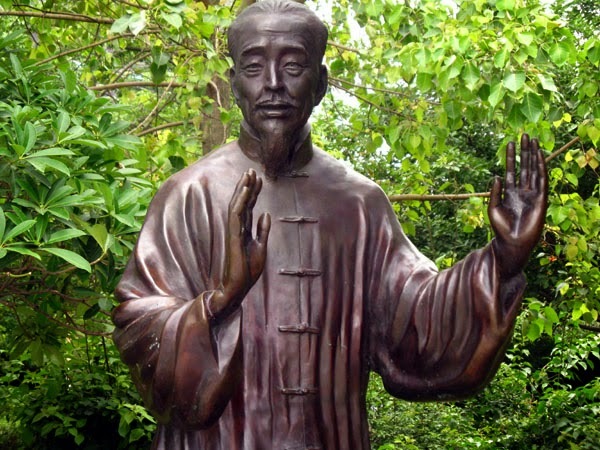 Finally, the small Lizhi Park (荔枝公园), not to be confused with the larger one in Futian, is squeezed between Nanhai and Liyuan at Taizi Road in Shekou. It has little to offer other than the completion of this litchi trifecta. 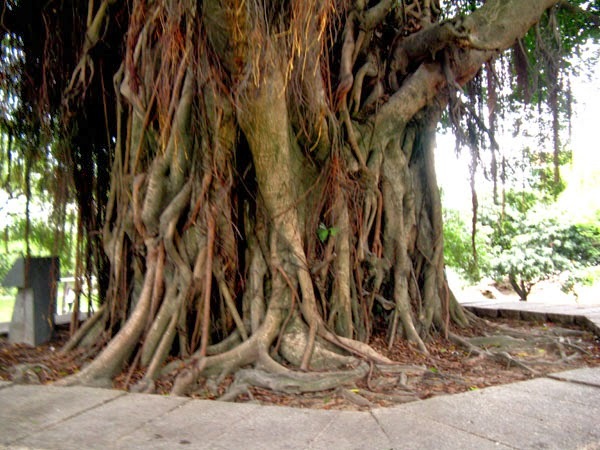 The most notable thing for me was the 120-plus-year-old banyan tree. Otherwise, it's just a fairly seedy urban park with a few tired old trees. 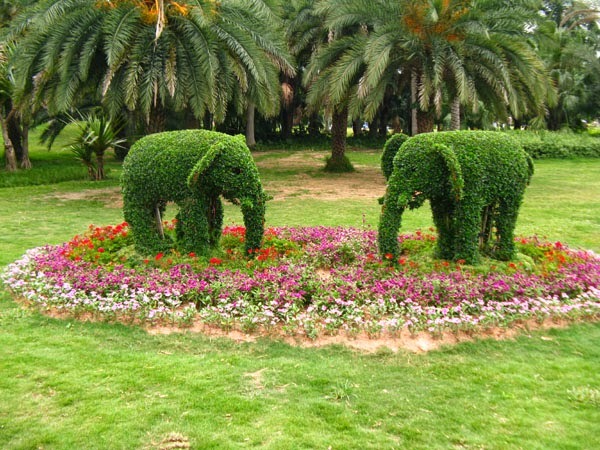 Take the Metro to Shekou Sea World (海上世界) and walk a few blocks north.